They found out soon enough. Rubus armeniacus, also known as Armenian or Himalayan Blackberry, is the bane of landowners everywhere. The invasive vines have a reputation for taking over gardens, flower beds, roadsides and anywhere else they can set down roots. 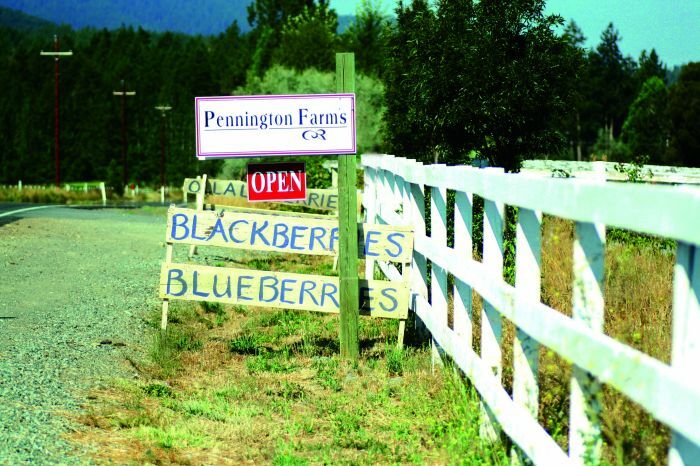 But the Penningtons also learned that there are plenty of other blackberry varieties that grow with great success, and a minimal footprint, in Oregon. 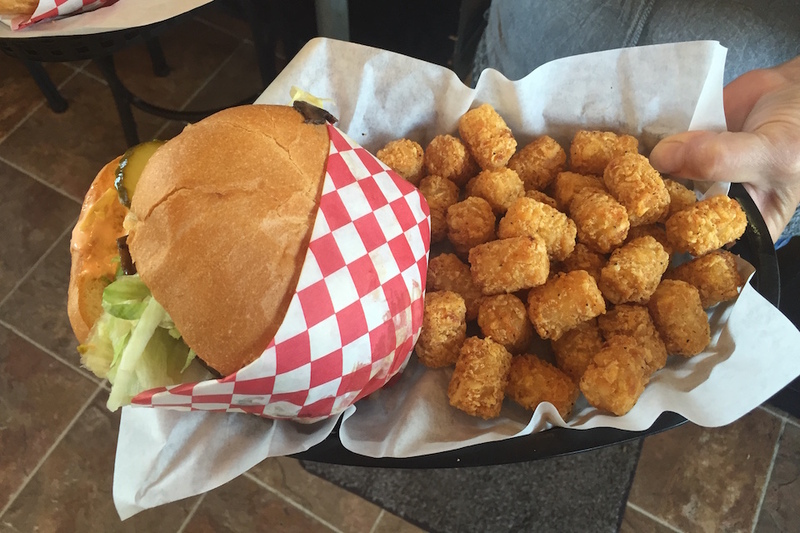 Although they’d relocated to the state to set up a flower farm, the Penningtons gravitated toward food. “Given the choice to grow something pretty versus something you can eat, it’s really a no-brainer,” Sam Pennington says. Today Pennington Farms, located on ninety-acres outside of Grants Pass, grows more than one hundred different varieties of berries. The family worked hard to cultivate their plants, as well as the ecosystem. Before they arrived, the farm had been used for growing hay, and commercial fertilizers had pretty well drained anything living from the soil. “When I bought this place, I’ll bet there wasn’t a worm on it,” says Pennington. He used biodynamic methods, which are based on a farming philosophy and practice that works in concert with the earth’s natural rhythm, to slowly nurture the soil back to health. With thick fingers as black as the soil they dig in, Pennington points to his compost piles and plants—all part of a larger system. His farm is not certified organic, but it’s safe to say conventional fertilizers haven’t touched his plants. The farm focuses on harder-to-grow heirloom berries, which is more labor intensive. These older varieties typically produce fewer, smaller berries that must be picked by hand. The reward is in the intense flavor of the berries. “You can’t even compare the taste to other berries,” says Pennington. The Tayberry, the Ollalie and the Cascade blackberry are his favorites. Life on the farm brings the whole Pennington family plenty of joy. “We’re doing this because of our kids,” Cathy says. “Being able to raise our children here and have them be part of the farm has been wonderful.” The oldest daughter, Jackie, helps out in the kitchen, and sons Sam Jr. and Max give their dad a hand in the fields. Their two other daughters, Tatum and Sloane, live farther afield. Sam Jr., 19, has already expressed interest in carrying on the business once his parents are ready to retire. 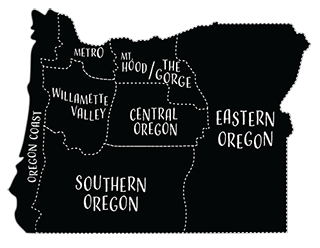 In 2011, Oregon farmers devoted 7,300 acres to the blackberry crop and produced 53 million pounds of blackberries, making the state the top blackberry producer in the country. Approximately fifty percent of those are Marionberries, a blackberry-raspberry hybrid developed in 1956 and grown almost exclusively in Oregon. 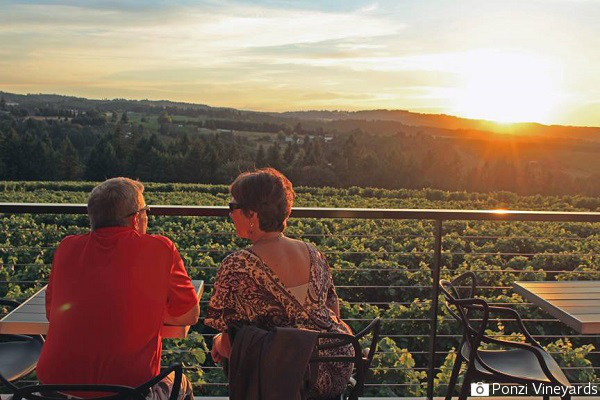 In this region of Oregon, cool nights and warm days provide ideal conditions for growing berries. “The fruit can stay on the canes longer, which means it gets much sweeter,” says Cat McKenzie, marketing director for the Oregon Raspberry and Blackberry Commission. Ninety-five percent of all blackberries grown in Oregon are turned into jam, jelly, filling for pies or other bakery items, such as yogurt and other value-added products. Snack bars, juices and frozen berries are all growing markets for the fruit. Berries retain their nutrients after being frozen, which also means they keep their health benefits. McKenzie thinks this helps drive the demand for frozen berries. They are also high in fiber, packed with compounds that can help prevent cancer and are good for everything from bones to skin. “If you can eat berries, you’re giving yourself an enormous boost in the health department,” she says. The most popular way to eat blackberries (besides straight from the vine on a warm, sunny day) is in sweets, such as chef Jamie North’s blackberry ice cream. 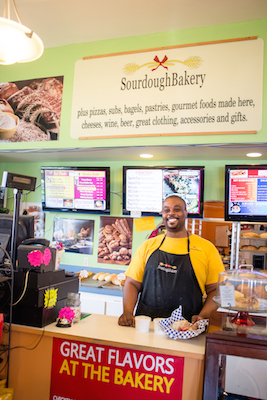 North, the owner of Mix, an Ashland bakery best known for its pastries, is a regular customer of Pennington Farms. “You should always taste berries before you use them to see how much sugar you need,” North says. Her recipe and others can be altered depending on the natural sweetness of the berries. She also enjoys blackberries in savory sauces for chicken or duck. Cooks interested in different uses for berries will appreciate Michael Autry’s butterleaf salad with blackberry-raspberry vinaigrette. The executive chef at Agate Alley Laboratory, which specializes in Northwest cuisine, delivers a one-two punch of blackberries by putting them in salad dressing and serving them whole on the plate. “If you’re going to use blackberries in a sauce, strain the cooked berries through cheese cloth to remove the seeds, which can be bitter,” he advises. Blackberries can even be used in mixed drinks, such as sake sangria from Teardrop Cocktail Lounge in Portland’s Pearl District. Teardrop owner, Daniel Shoemaker, mixes a variety of fresh summer fruits into this unusual sangria in which blackberries are a constant. 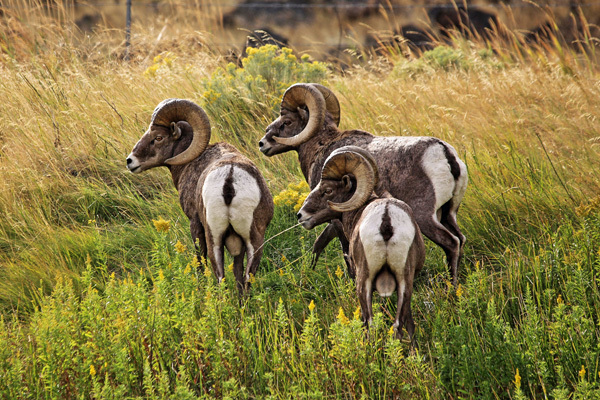 “They represent so well on their own that you don’t need to do much to them,” he says. If you want to incorporate blackberries into something like a mojito, Shoemaker recommends a light dusting of sugar and a quick, light muddle to bring out the juice. Another great drink idea is to throw berries in a smoothie with some apple juice, plain yogurt and a banana. If you need a little kick, add a shot of rum. Preheat oven to 350°F. Grease bottom of a 9 x 9 x 2 pan. Combine flour, baking powder and salt; set aside. In a mixing bowl, beat butter on medium speed. Add sugar and beat on high until light and fluffy. Add egg and beat well. Alternatively add flour mixture and milk to batter, beating until smooth after each addition. Spoon batter into pan and sprinkle with berries. Topping: In a separate bowl combine flour and sugar. Cut in butter with a pastry blender until mixture resembles course crumbs. Sprinkle over berries. Bake 50 to 60 minutes or until golden brown. Serve warm.